You must be a member of the Ho Chi Minh City Afterwork Group to attend this activity. Would you like to join this group? A good choice of Naan (Indian Bread)/Curry/Tandoori (Oven) Food !! 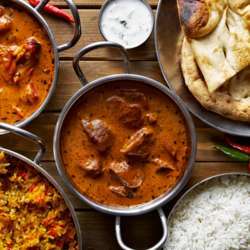 To enjoy Indian food, it need to be shared, Total Bill to be shared equally among all the attendees ! !